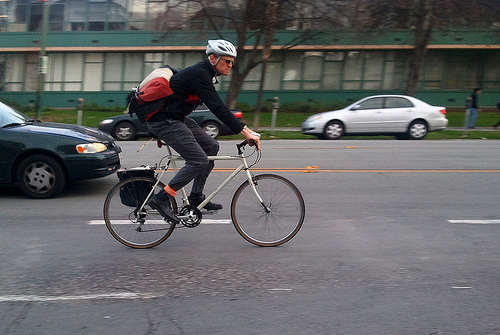 Survey findings show that Bike to Work Day often creates a lasting habit. Photo by Richard Masoner. For those considering participating in Bike to Work day on May 20, statistics presented at the recent Washington, D.C. Transportation Planning Board meeting may be of interest. According to the presented survey of D.C.-area Bike to Work Day commuters in 2010, 17 percent of participants said they had never commuted to work before, 22 percent started biking to work more often after participating, and 10 percent made it a regular commute mode. With all the benefits of cycling, you’d be hard pressed to find a better time to try this active commute alternative. Fuel cells, commonly applied to low-carbon transportation and electrical grids, are ready to expand from their world of mostly research-and-development to widespread commercial use, according to new statistics from Pike Research. Pike announced at the annual member meeting of the Fuel Cell and Hydrogen Energy Association that global fuel cell shipments doubled between 2008 and 2010, increasing from 7,500 annual units to 15,000 annual units. A team of researchers from the University of Minnesota found that highly contiguous urban areas are associated with lower nitrogen oxide concentrations. NO2, a particle that is harmful to human health and is generated from the oxidation of NO, is a relatively sound marker of greenhouse gas emission levels in a given region. The study found that a city’s NO2 levels can be curbed by as much as 4 percent, depending on urban contiguity. The U.S. Departments of Agriculture and Energy awarded a total of $47 million in funding for biofuel, bioenergy and bio-based products to eight research and development projects. The eight projects are estimated to produce 50 percent less greenhouse gas emissions than traditional fossil fuel activities of equal output. The project is a part of the Biomass Research and Development Initiative. The seemingly insignificant car design feature of rear spoilers can greatly affect the amount of car pollution reaching pedestrians and cyclists, reports a study by Dr. Aonghus McNabola in the Department of Civil, Structural & Environmental Engineering at Trinity College in Dublin. Using computational fluid dynamic modeling, Dr. Aonghus found that car spoilers tilted with high incidence angles can increase the exhaust reaching the head height of pedestrians and cyclists by as much as 57 percent. Conversely, spoilers with low incidence angles, though inconsequential in the amount of exhaust a vehicle produces, helps keep exhaust plumes closer to ground level. The prevalence and duration of walking and cycling in the United States remained largely unchanged between 2001 and 2009, according to a new study by John Pucher that was featured in the American Journal of Public Health. Based on data from the National Household Travel Survey, the study found that the prevalence of “any walking” on a given day remained unchanged within the population (about 18 percent), and the prevalence of “any cycling” remained unchanged within the population (about 1.7 percent). Among its more notable results, it was found that the percentage of utilitarian versus recreational bicycle trips rose from 43 percent to 51 percent from 2001 to 2009. A new report brings attention to the potential of marketplaces as catalysts for community development, specifically in their ability to spur economic, political and social growth. The report also includes suggestions on how markets can be incorporated into policy and planning decisions. The report is titled, “Marketplaces: Prospects for Economic, Social and Political Development,” by Alfonso Morales of the University of Wisconsin-Madison.